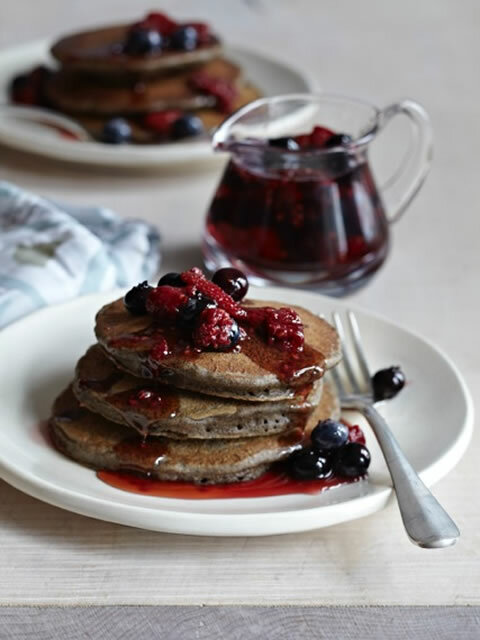 News Buckwheat Flapjacks for National Pancake Day! 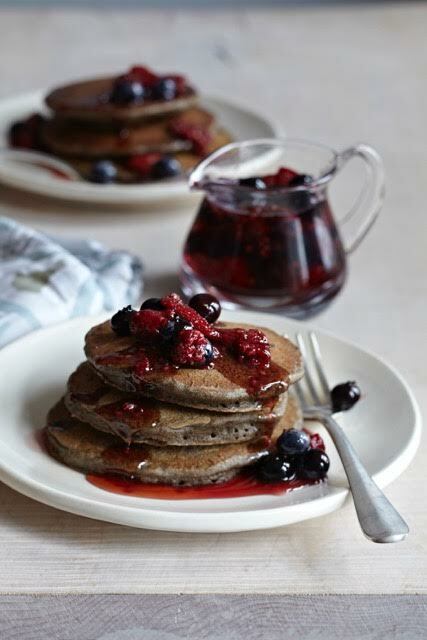 I created these buckwheat pancakes for my daughter Willa when she was a toddler. The color is a bit dark from the buckwheat flour, so I brightened them up with the delicious and simple Triple Berry Sauce. The recipe is on page 154 in Eating in Color. Try these at your next brunch with friends. They’re a wonderful change from the basic ones. Combine the flours, baking soda, cinnamon, brown sugar, and salt in a large bowl. 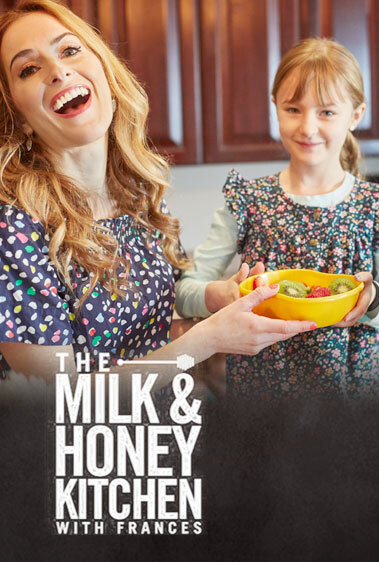 In a separate bowl, whisk together the milk, oil, and egg. Make a well in the dry ingredients and stir in half of the wet mixture. Add the remaining wet mixture and combine thoroughly. Spray a large nonstick saut. pan with cooking spray and heat over medium-high heat. Using a 1/4-cup (60ml) measure, spoon the batter onto the hot pan. Cook each flapjack for 3 minutes, until bubbles begin to form on the surface, then flip and cook for another 2 minutes. Serve the flapjacks with the Triple Berry Sauce. Put the berries—with water still clinging to them, if using fresh berries—in a medium saucepan over medium-high heat. Pour in the maple syrup, cover, and bring to a simmer. Simmer for 8 to 10 minutes, stirring occasionally. Turn the heat off , stir in the vanilla, and skim off any foam that may have risen. Serve warm over pancakes, waffles, ice cream, or yogurt, or transfer to an airtight container and chill. The sauce will keep for 3 days in the refrigerator.